Being a territory with several minerals and rocks suitable for knapping and grinding, Uruguay offered a lithic-rich environment for past indigenous cultures in the Southern Cone of South America. In this paper, a history of lithic procurement studies in Uruguay is presented. Three main periods are discriminated, paying attention to authors’ theoretical and methodological contributions to the field. Firstly, a period with general mention to raw materials utilised by indigenous groups, including those historically known, is recognised at least since the last decades of the nineteenth century. Secondly, a period involving description of lithic resources available at a national scale as well as the first detailed observations of lithic sources and possible means of procurement can be distinguished between the 1950s and the mid-1980s. Lastly, beginning with salvage archaeology in the eastern region, the current period of research (i.e. the last thirty years) is characterised by contextualising lithic procurement within issues of lithic technological organisation and settlement patterns of indigenous groups. The current period of studies has involved two different approaches: 1) technological analysis of lithic artefacts and comparison of raw material with previously-published geological data; 2) utilisation of field survey data that locate and map lithic resources, and characterisation of visual (macroscopic, microscopic, or both macroscopic and microscopic) and geochemical components of these resources. Within the latter, studies can be further arranged according to the main temporal framework used to contextualise research problems. On the one hand, questions involving lithic procurement of early hunter-gatherers (who arrived ca. 12,000 BP) since the end of the 1990s have included surveys of potential and utilised sources, the first thin-section-based petrographic studies and the distinction of different local, regional and long-distance procurement strategies. On the other hand, cultural changes since the Middle Holocene have framed lithic source survey studies to answer questions of resource accessibility for coastal groups during sea level changes, as well as for other now-diverse groups such as the lowland moundbuilders. Finally, considerations for future research are made by reconsidering recent developments alongside the history of lithic procurement studies in Uruguay. Bayón, C. & Flegenheimer, N. 2003, Tendencias en el estudio del material lítico. In: Análisis, interpretación y gestión en la Arqueología de Sudamérica (Curtoni, R. & Endere, M. L., Eds. ), Serie Teórica Número 2. Investigaciones Arqueológicas y Paleontológicas del Cuaternario Pampeano (INCUAPA), Universidad Nacional del Centro de Provincia de Buenos Aires, Olavarría: p. 65-90. (in Spanish) (“Trends in lithic studies”). Church, T. (Ed.) 1994, Lithic Resource Studies: A Sourcebook for Archaeologists. Department of Anthropology, University of Tulsa, Tulsa, p. 255. Ericson, J. E. 1984, Towards the Analysis of Lithic Production Systems. 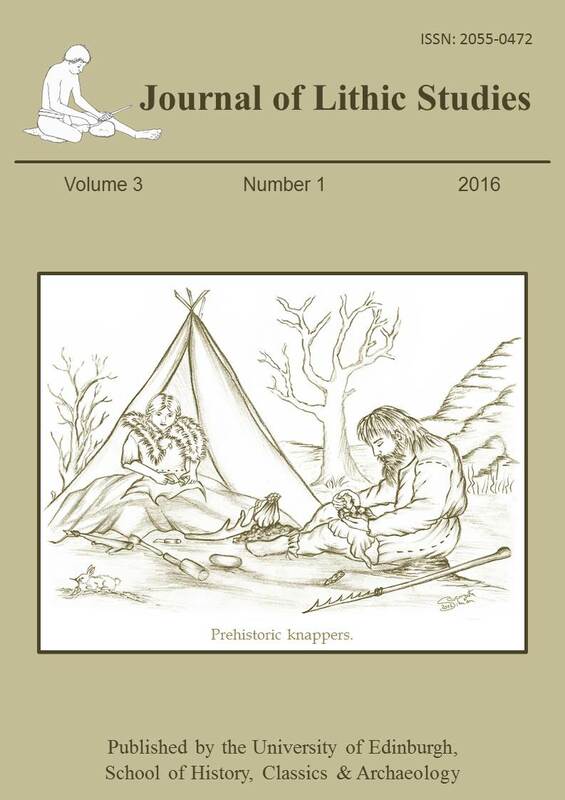 In: Prehistoric Quarries and Lithic Production (Ericson, J. E. & Purdy, B. A., Eds. ), Cambridge University Press, New York: p. 1-9. Haury, C. E. 1995, Defining lithic procurement terminology. In: Lithic Resource Studies: A Sourcebook for Archaeologists (Church, T., Ed. ), Department of Anthropology, University of Tulsa, Tulsa: p. 26-31. López Mazz, J. M., Gascue, A. & Piñeiro, G. 2011, Flint procurement strategies of the early hunter-gatherers of eastern Uruguay. In: Proceedings of the 2nd International Conference of the UISPP Commission on Flint Mining in Pre- and Protohistoric Times (Madrid, 14-17 October 2009) (Capote, M., Consuegra, S., Díaz-del-Río, P. & Terradas, X., Eds. ), BAR International Series Vol. 2260, Archaeopress, Oxford: p. 291-302. Luedtke, B. E. 1992, An Archaeologist’s Guide to Chert and Flint. UCLA Institute of Archaeology, Los Angeles, 153 p.
Mansur, M. E., De Ángelis, H., Alonso Lima, M. 2014, Microscopic use-wear analysis in Latin America: its contributions to new problems, raw materials and taphonomic contexts. In: Traceology Today: Methodological Issues in the Old World and the Americas (Mansur, M. E., Alonso Lima, M. & Maigrot, Y., Eds. ), BAR International Series Vol. 2643, Archaeopress, Oxford: p. 75-84. Nami, H.G. 2009, Crystal quartz and fishtail projectile points: Considerations on raw materials selection by Paleo-South Americans. Current Research in the Pleistocene, 26: 9-12. Nichols, G. 2009, Sedimentology and stratigraphy (2nd ed.). Wiley-Blackwell, Chichester, 419 p.
Odell, G. 2004, Lithic Analysis, Manuals in Archaeological Method, Theory, and Technique. Kluwer Academic & Plenum Publishers, New York, 262 p.
Politis, G. 2008, The Pampas and Campos of South America. In: Handbook of South American archaeology (Silverman, H. & Isbell, W. H., Eds. ), Springer, New York: p. 235-260. Suárez, R. 2003, Paleoindian Components of Northern Uruguay: New data for Early Human Occupations of the Late Pleistocene and Early Holocene. In: Where the South Winds Blow: Ancient Evidences from Paleo South Americans (Miotti, L., Salemme, M. & Flegenheimer, N., Eds. ), Center for the Study of the First Americans & Texas A & M University Press, College Station: p. 29-36. Suárez, R. 2009, Unifacial Fishtail Points: Considerations about the archaeological record of Paleo South Americans. Current Research in the Pleistocene, 26: 12-15. Suárez, R. 2014, Pre-Fishtail settlement in the Southern Cone ca. 15,000-13,100 yr cal BP: Synthesis, evaluation and discussion of the evidence. In: Pre-Clovis in the Americas. International Science Conference Proceedings (Standford, D. J. & Stenger, A. T., Eds. ), The Smithsonian Institution, Middletown: p. 153-191. Suárez, R. & Gillam, J. C. 2008, The Paleoindian database of Uruguay: Collections survey and GIS data development. Current Research in the Pleistocene, 25: 200-202.